Hanoi (VNA) - The biggest and most comprehensive-ever book collection on the history of Vietnam has just hit bookcases throughout the country. 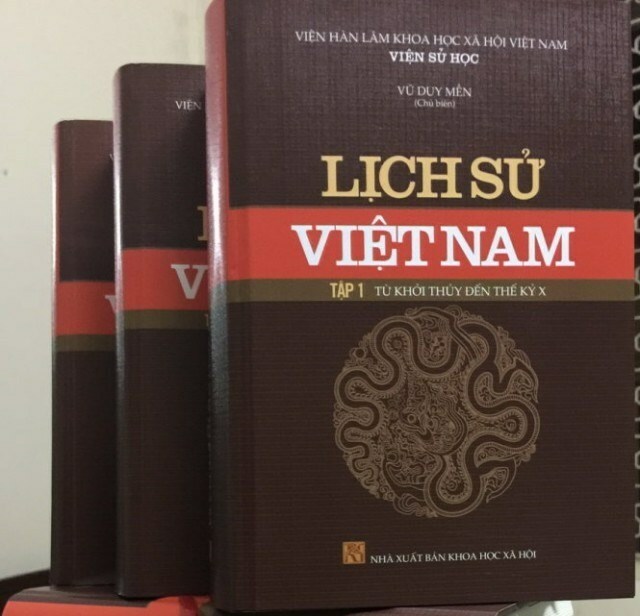 Titled Lich Su Viet Nam, the 15-episode collection was printed for the first time by the Vietnam Academy of Social Sciences in 2015 with a limited number of 500 copies. The book was awarded Best Book in 2015 by the IRED Institute of Education and Phan Chau Trinh Foundation. According to Dinh Quang Hai, rector of the Vietnam History Institute, the collection covering Vietnamese history from early times to the year 2000 was a ministry-level research project hosted by the institute. “The collection builds on basic knowledge in previous studies on the matter, besides focusing on including the most recent research by experts from history, archaeology, ethnology, religion and culture,” he said. Tran Duc Cuong, Chairman of the Vietnam Association of History Science, stressed that the collection includes more details on two border wars between 1975 and 1988. He continued to talk about the border war against Chinese in 1979. “In this collection, we mentioned the exact number of soldiers, tanks and cannons that the Chinese used during the war between 1979 and 1988,” he said. “I believe the figures and materials on the wars updated in the collection are highly objective and trustworthy,” commented researcher Hai. According to Cuong, the collection has some fresh ideas in comparison with previous studies. First of all, the collection confirmed that the Vietnamese State was established early in the nation’s history, but was based on three different ancient kingdoms. “These included Dong Son civilisation with Au Lac Kingdom [257-207BC], Sa Huynh civilisation with Cham Pa Kingdom [192-1832] and Oc Eo civilisation with Phu Nam Kingdom [68-550],” he said. “Before, scholars had just discussed the history of Au Lac Kingdom as the history of the whole Vietnam,” he said. This study also differs from predecessors by reexamining the royal reigns in Vietnam throughout the history, this time more objectively. For example, researchers came into conclusion that Mac reign (1527-1677) was among reigns with good contributions to the country’s history. The reign helped solve socio-economic problems handed down by the Le dynasty (1428-1527). The Nguyen reign (1802-1945) was also re-judged with both achievements and mistakes.